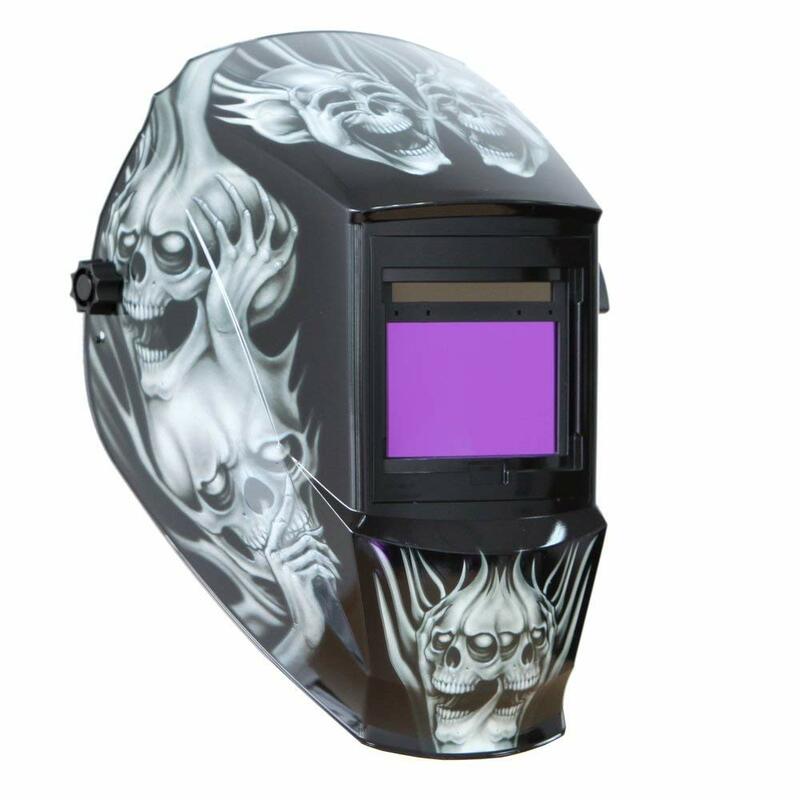 1) Great for various welding applications. Has grinding feature. 2) Large Viewing Size with 4 Premium Sensors. 3) Cheater lens compatible design. 4) Step less Delay and Sensitivity Knob Adjustable. 5) Shade Variable. Covering Most Common Welding and Plasma Cutting Processes. So, in a nutshell, I'm pretty surprised with this helmet. It is light and comfortable. Although the head band fits nicely, it does seem to be made for smaller heads. The helmet itself is very light, and the plastic is somewhat thinner giving it a cheaper feel. But it doesn't feel all to fragile. The auto darkening feature is pretty good, but it will not work awesome straight out of the box, you will need to work with the delay to get it perfect. The other think I like is that the head band is a ratchet style, so it won't loosen up on your head. The flip up pivot needs to get tightened from time to time, when being used a lot. It gets loosey goosey, and then your mask falls down, when you don't need it down. For a cheap helmet like this one, this should not be a big issue.